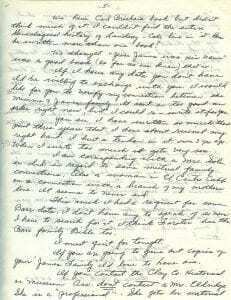 The following letter of apology written by Thelma Duncan Barr to Joan Malley Beamis is transcribed as written. No editing has been applied. 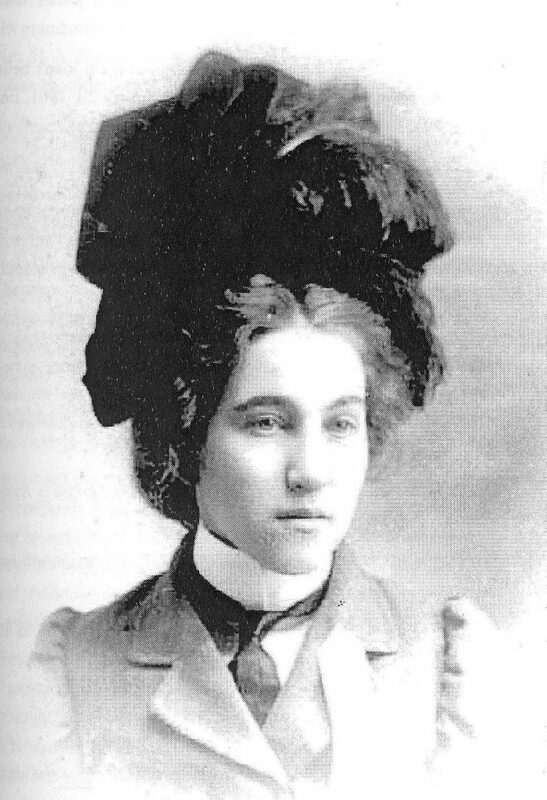 Thelma Duncan Barr is the spouse of Henry Lafayette Barr, a grandson of Jesse Woodson James. Joan Malley Beamis is the great-granddaughter of Drury Woodson James, an uncle of Jesse Woodson James, America’s iconic outlaw. My name is Thelma Duncan Barr. My husband is Lawrence H. Barr. We were in Los Angeles, Calif. In Oct. on our way home from Hawaii. We visited several days with our cousins, the daughters of Aunt Stella James. 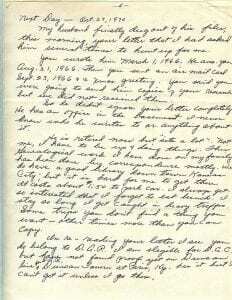 Ethel Rose Owens gave me your letter, Sept. 1970, to read. I wanted to write you and offer an explanation for my husband not answering your letter of several years ago? I am sorry he did not see fit to answer your letter. You have no idea how many inquiries he gets through the mails. He simply didn’t want to be bothered. I told him at the time he should have answered your letter. However, he does not know very much about the historical facts of the family. Mother Barr would not let it be “talked about” in her home. Now Forster has always been interested in the “James Stories” and got into his possession all he could find about Jesse James. He has all the keepsakes, historical data, pictures (what there are) etc. Lawrence has very, very little about his grandfather! Only in the past few years has he become interested. If all I recall correctly you were asking for a picture of Drury Woodson James. He did not have it and has only very few pictures of his mother. What we do have is in books we have had to buy and newspaper clippings. Forster was always the one who answered people’s letters. Now that is the best excuse I can give him, which is true, believe me. However, in the past three years I have been doing a Genealogy of “my” family. I started with my mother’s family and then my father’s family. They both came from the early day settlers of Mo. They came from Virginia to Kentucky, to Mo. About 1820 & 1825. This, to me, has been most interesting. I am not finding very many stories or historical events. It is mostly lineage. A long time ago, when on a trip to Calif., we went to see Lutie Mimms. She gave me, to bring home with me a Genealogy of the Mimms family. She & Mother Barr were double cousins. At that time it was all in a gig-saw puzzle to me. I read, read, & read it before I could begin to understand it. 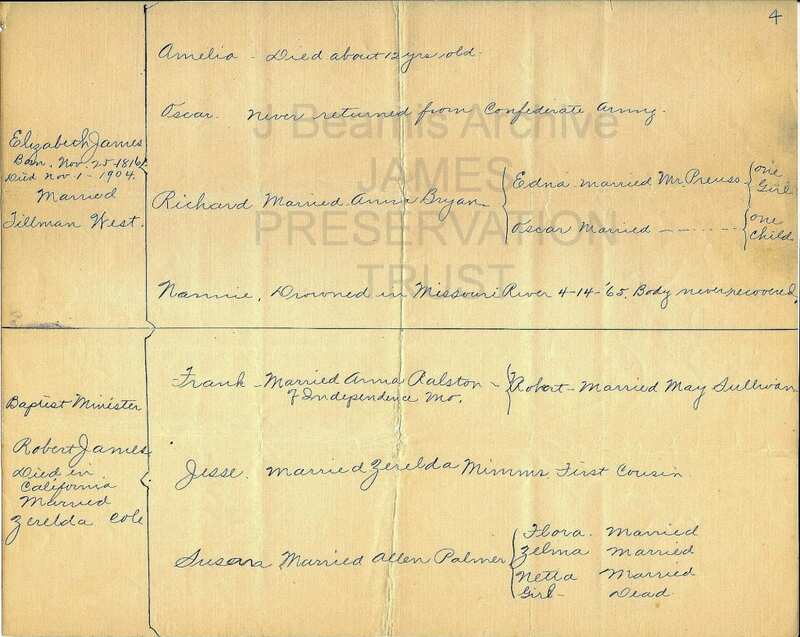 When I finished copying it I found a “gap” in it that directly linked the Mimms & the James families together. She (Lutie) said he niece had it. I never did get it from Lutie, her niece, or Aunt Stella. We went to the nursing home to see Aunt Stella & she did know us! 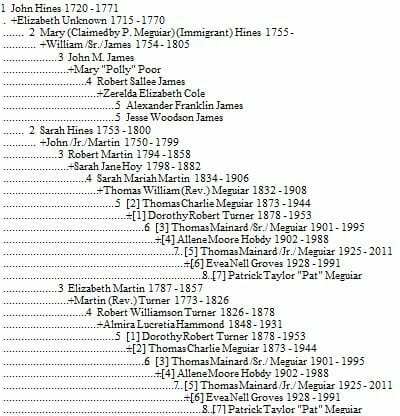 In the research of some of the related families to my direct lines I came across a James family in the “Germanna Records” of Richmond, Va. But Dr. B. C. Holtzclaw said he did not think there was a connection with the Rev. Robert Sallee James. In Ethel Rose’s letter you spoke of a book, or pamphlet, that you and your co-author Mr. William E. Pulliam, were going to publish! Has it been published yet? You said you were going to give them away to historical societies, libraries, D.A.R. of Washington D.A.C. of Texas. Each month they have a resume of a family on their monthly letter. I wrote one on my Duncan family fr Jan. 1969 (I believe) it was. I also belong to Smithville Historical Society. They are compiling a lot of families. I have given them the Thomas Fry family; the McCullough Family; Capt. James Duncan; John Duncan and have a great deal on related families (which others are working on, too.) I don’t type so mine is all handwritten. It has been work. I know how to appreciate your labors, believe me! 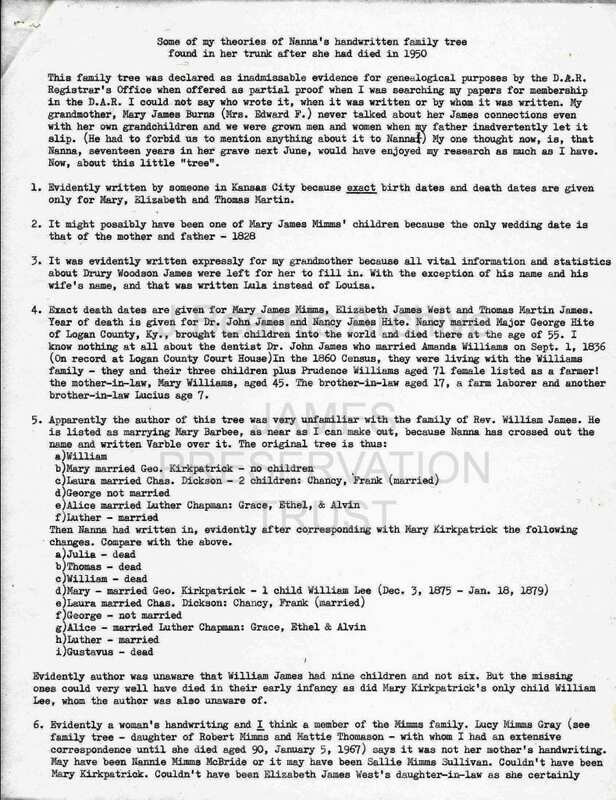 I am interested in where you got your information on the exact connection of Mimms or (Mims) & James line. I “think” I have it figured out, but am not sure I am correct! Do you get all the brothers & sisters that you can of each family or – do you just get direct lineage? 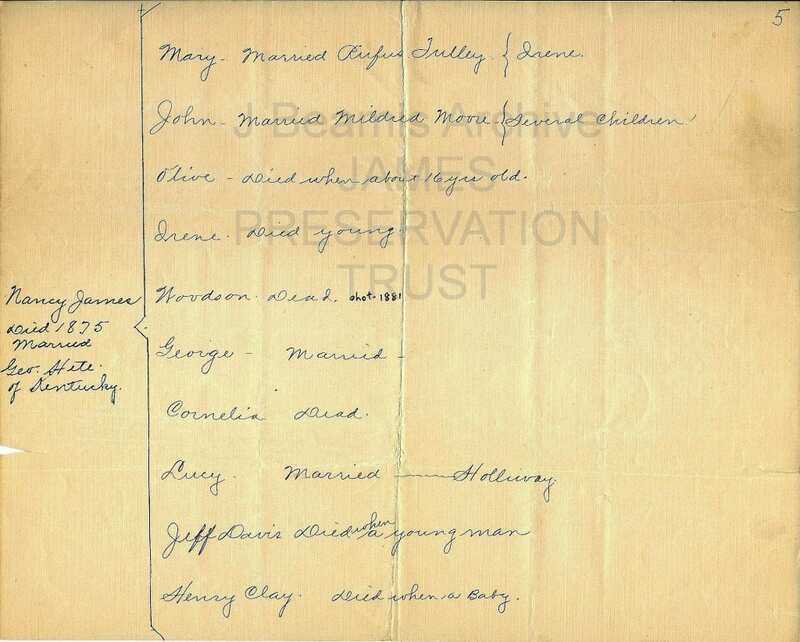 The only data we have on Drury Woodson James was that he was the youngest of 8 children (of John James who married Mary Polly Poor.) He was born Nov. 17, 1825 (also have another date from another source as Nov. 14, 1826.) Which is correct? You no doubt have more authentic data than I do. What I have has been from books others have written. A Mr. Ed Knowles who in 1908 was at Topeka, Ks. on the “Topeka Capitol Journal”. He is no longer with them. He sent my husband a “copy” of a talk he gave at Clay Co. Museum meeting in Liberty. That is where I got my little on “Lindsay” and “Cole” family. II. John James married Mary Polly Poore their ch. 1. Mary; 2. William; 3. John 4. Elizabeth; 5. Robert Sallee James; 6. Nancy; 7. Thomas and; 8. Drury Woodson. Do you have any data back older than Martin James? We have Carl Breihan’s book but didn’t think much of it. I couldn’t find the entire Genealogical history of Lindsay-Cole line in it. Has he written more than one book? We thought “Jesse James was His Name” was a good book (as far as we know) that is. If I have any data you don’t have I’d be willing to exchange with you. 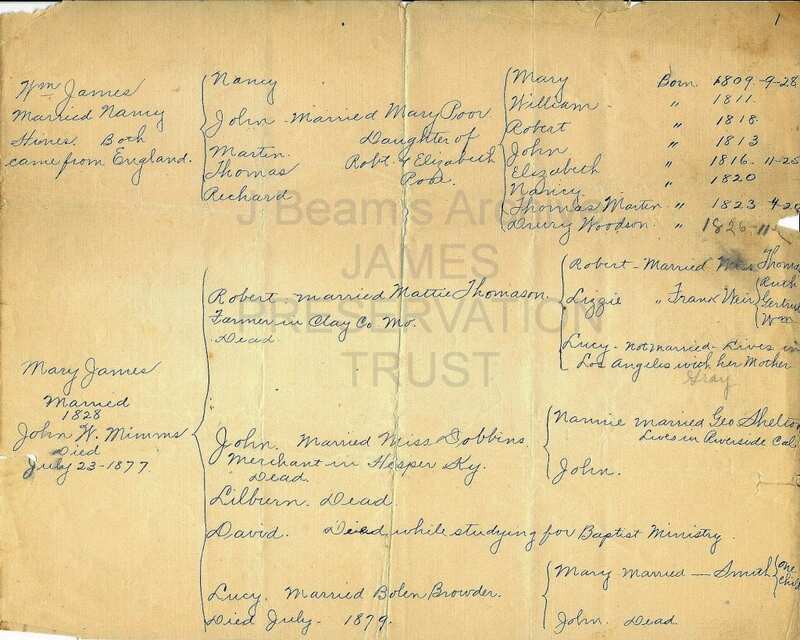 I would like for you to verify my connection between the Mimms & James family. It isn’t in too good an order right now, but I could re-write it for you. You see I have written so much these past three years that I have about ruined my right hand. I hurt a tendon in it over 3 yrs. ago. When I write too much it gets very sore. I am corresponding with a Mrs. Sale on Ind. In respect to some mutual family connections. Also a woman in El Centro, Calif on a connection with a branch in my mother’s line. It seems to never end. This week I had a request for some Barr data. It don’t have any to speak of so now I have to search for it. I think Forster has the Barr family Bible too. I must quit for tonight. If you are going to give out copies of your “James Family” I’d love to have one. “free” then sells it. This woman in deed paid her $20.00 for research & got very little” for it. The Clay Co. Museum told me about 2 yrs. ago they didn’t want mine because they at that time did not have a facility for handling them. No file system or anything. Of course mine was hand written and not printed. A book might be different. Mr. Donald Pharris is the Pres. He is rather up in years tho. He re-wrote some of my sketch & misspelled so many names it made me sick. He botches up nearly every one. He wanted another sketch but I wouldn’t give him another. 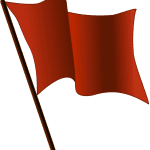 Are you a member of D.A.R. or D.O.C.? I can’t find proof of Dr. James Duncan in the Rev. War. He was; but I haven’t found the proof yet. They sent my money back twice. I’ll have to find another source. There were dozens of James Duncans, one in every generation! It has been nice visiting with you. Please don’t think too harshly about my husband. He just doesn’t see the importance of our work. He thinks I’m wasting my time! My husband finally dug out of his files, this morning, your letter that I asked him several times to hunt up for me. 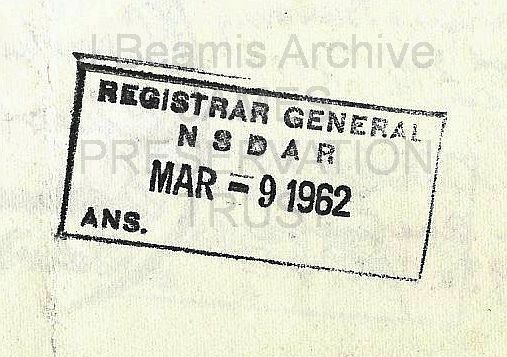 You wrote him March 1, 1966/ He ans. You Aug. 21, 1966. Then you sent him an air mail card Sept. 23, 1966 & a Xmas greeting. You said you were going to send him copies of your research but we did not received them. So he didn’t ignore your letter completely. He has an office in the basement. I never know who he writes to or anything about it. He is retired now but “sits a lot.” Not me, I have to be up and doing things! 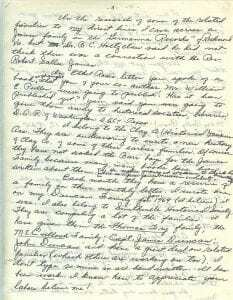 This Genealogical work I have done on my family has been done by correspondence mostly. We do have a good library down town Kansas City; but it is hard for me to get there. It costs about $1.50 to park car. I always get so interested I forget to eat lunch. I stay so long I get caught in heavy traffic. Some trips you don’t find a thing you want – other times more than you can copy. 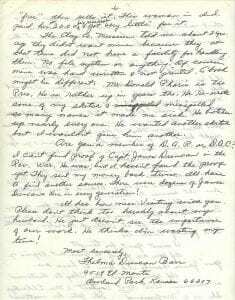 In re-reading your letter I see you do belong to D.A.R. I am eligible for D.O.C. but have not found proof yet on Duncan line for D.A.R. Duncan Tavern in Paris, Ky. Has it but can’t get it unless I go there. Do you have cousin Luties’nleice’s address? 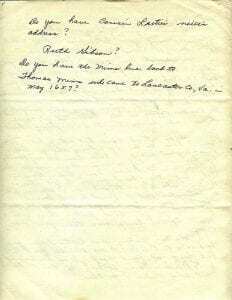 Do you have the Mimms line back to Thomas Mimms who came to Lancaster Co., Va. In May, 1657? 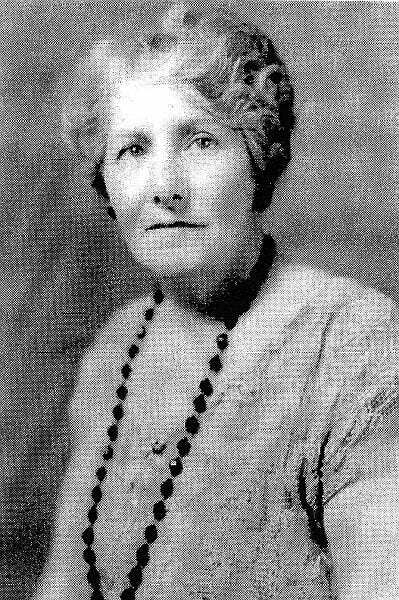 Mary Louise James Burns, daughter of Drury Woodson James, founder of Paso Robles, California. From Jesse james Soul Liberty, Vol. I, Behind the Family Wall of Stigma & Silence by Eric F, James, p.18. Drury Woodson James was born in Logan County, Kentucky on the 14th of November, 1826. 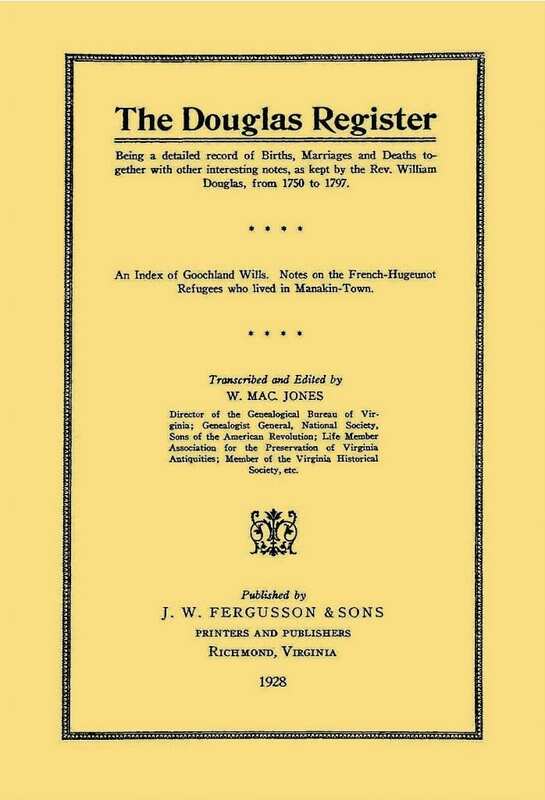 His parents and grand-parents were Virginians, and his grand-fathers fought for Independence in the Revolutionary War. Drury Woodson James was the youngest of five boys. They were reared by his oldest sister, having been orphaned at an early age. Drury’s mother died when he was three months old, and his father when he was a year old. In 1846, Drury enlisted in the Mexican War as a drummer boy, and fought through the war under General Taylor. After the war was over, James went to California. 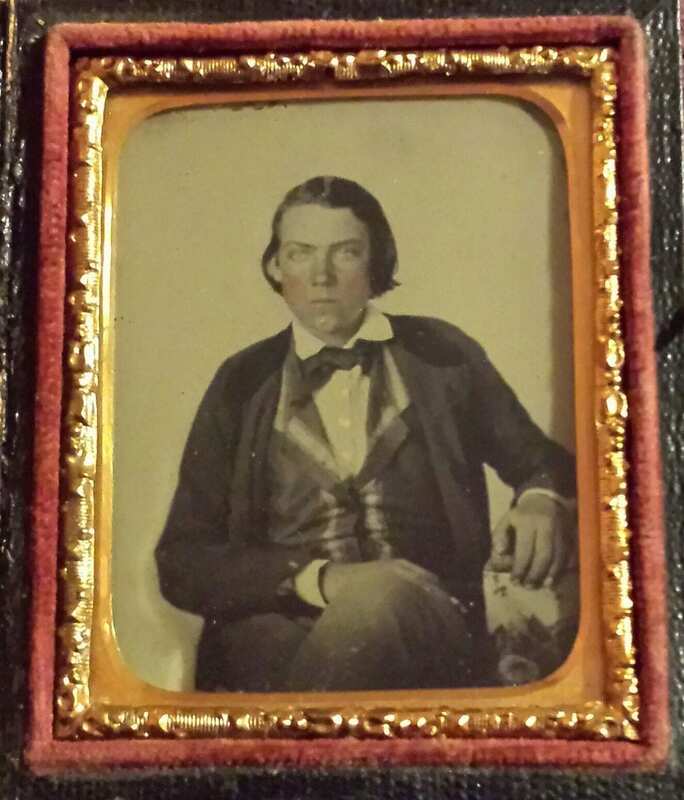 He left old Fort Kearney with a pioneer wagon train and reached the Hangtown gold fields in 1849. He mined for several months and then entered the business of buying and selling cattle. This proved to be a very successful venture. It is stated that his practice was to drive the cattle to the different mining towns and sell the cattle on the hoof for as much as three or four times the amount paid for them. James became known in the country in 1850, and played an important part in the early history of the community. In 1850, D. W. James and a John G. Thompson of Kentucky purchased the La Panza Rancho. They engaged in the business of buying cattle and horses. The county records of this time show numerous failures among the cattlemen. During the years of 1862, 1863, and 1864 occurred one of the worst droughts in the history of the country. At this time James and Thompson found themselves with 5000 head of cattle. At this time, cattlemen all over the area, when they saw their feed and water going, turned their cattle loose to fend for themselves. Not James; he drove the cattle to the Tulare and Buena Vista Lakes and saved them. James and Thompson also owned the Comatti8 and Carissa ranches. It is not known when they purchased these ranches, and they were probably sold along about the same time that the La Panza Rancho was sold. 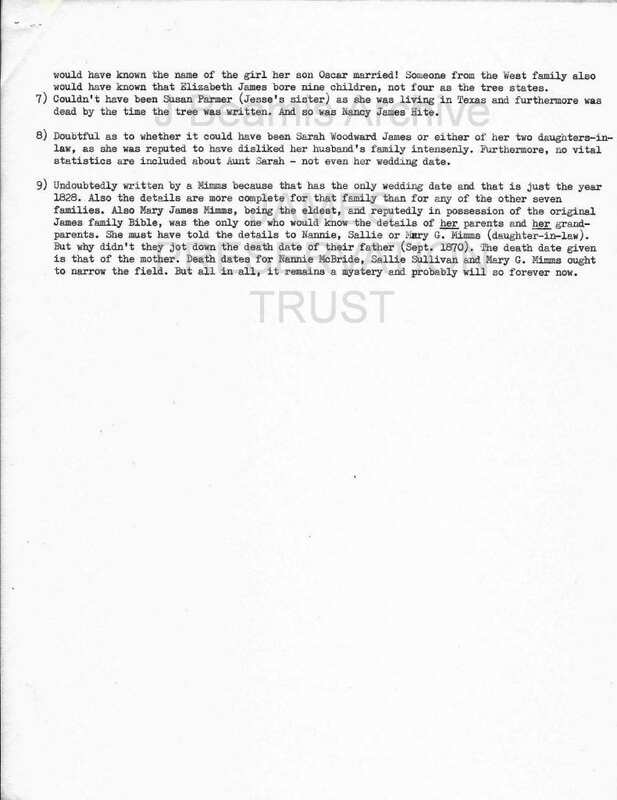 Page one of a three-page testimony of Mary Louise James Burns, daughter of Drury Woodson James, executed and transcribed in 1949 by Mary Joan Malley Beamis, great-granddaughter of D.W. James. 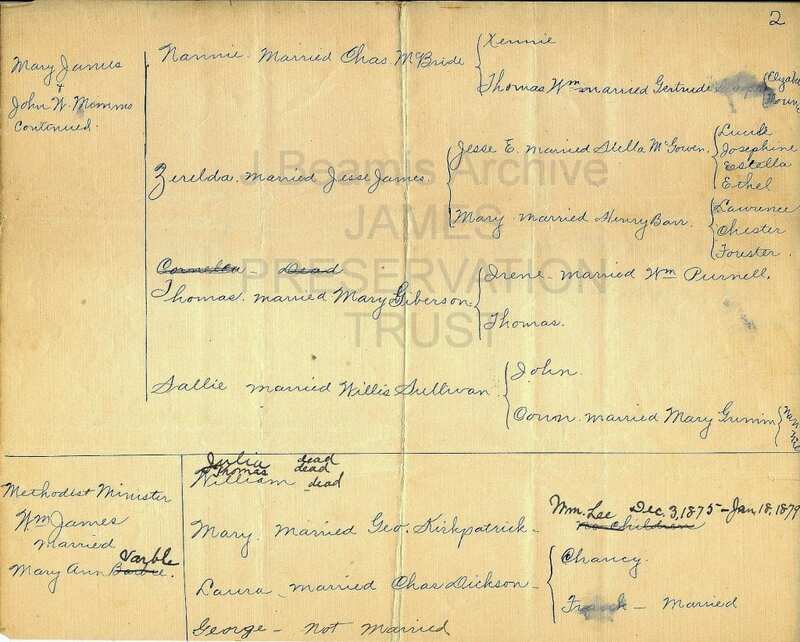 This original document in the Joan Beamis Archive of the James Preservation Trust. to Kentucky. 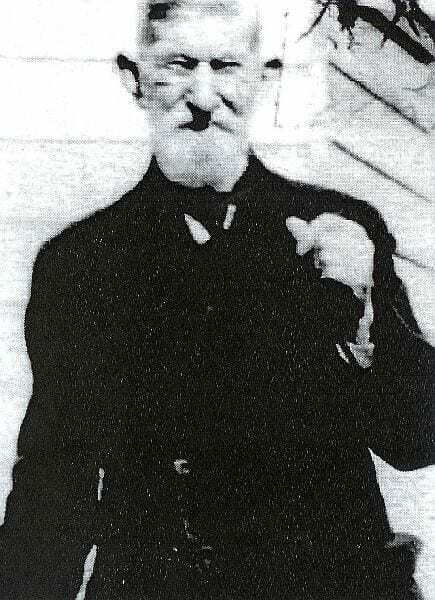 In 1857, a James H. Blackburn had bought the El Paso de Robles Rancho from Petronelli Ries. Ries had acquired the ranch in 1850 from one Pedro Novares. Novares had acquired the ranch under a Mexican land grant in 1844. Novares claimed six leagues or about 25,000 acres along the Salinas River. In 1850, James B. Blackburn divided the ranch. Daniel D. Blackburn chose the northern league of the rancho on which were located the springs. Daniel D. Blackburn then sold one-half of his northern half to a Thomas McGreal who sold it to James in 1869. D. D. Blackburn and D. W. James each owned half of the northern league. D. D. Blackburn then sold half of his half to James H. Blackburn. So James owned a half and the two Blackburn brothers each owned a quarter of the northern league. On September 15, 1966, Daniel D. Blackburn and Drury W. James married sisters at a double wedding in the San Luis Obispo Mission. They were married by the Rev. Father Sastra in the old Mission church. Louise M. Dunn married D.W. James and Cecelia Dunn married D. D. Blackburn. The Dunn family had come to America from Australia about 1850. They settled first in Sacramento and later moved to San Luis Obispo. 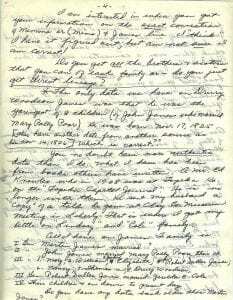 Page two of a three-page testimony of Mary Louise James Burns, daughter of Drury Woodson James, executed and transcribed in 1949 by Mary Joan Malley Beamis, great-granddaughter of D.W. James. 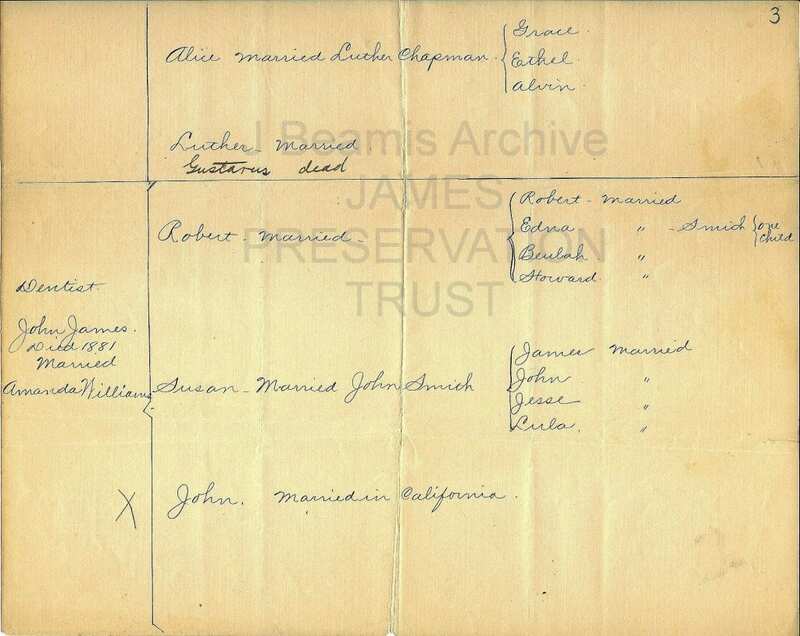 This original document in the Joan Beamis Archive of the James Preservation Trust. 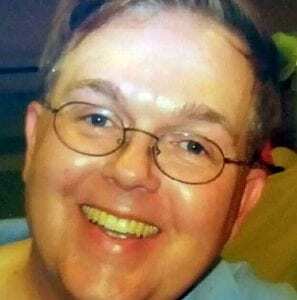 James B. Blackburn was the first of this famous partnership to die. 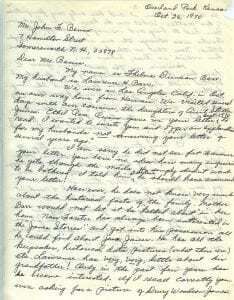 He left the bulk of his estate to Daniel and Cecelia Blackburn and their children. At this time, there was talk of the railroad coming through to El Paso de Robles. Realizing the possibilities of this part of the country as a resort area, Blackburn and James decided to build a hotel. The cornerstone was laid in 1889. The railroad tried to buy the property and the half-finished hotel from Blackburn and James but they refused the offer. 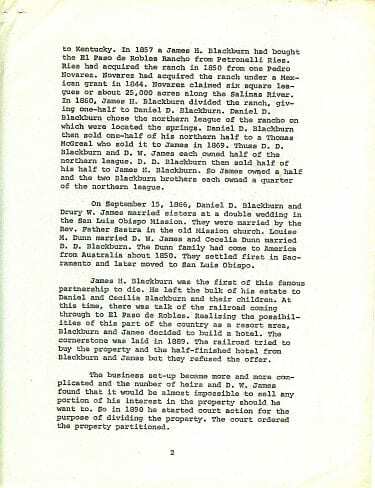 The business set-up became more and more complicated and the number of heirs and D. W. James found that it would be almost impossible to sell any portion of his interest in the property should he want to. So in 1890 he started court action for the purpose of dividing the property. The court ordered the property partitioned. 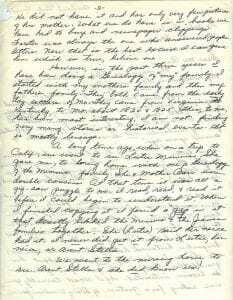 Page three of a three-page testimony of Mary Louise James Burns, daughter of Drury Woodson James, executed and transcribed in 1949 by Mary Joan Malley Beamis, great-granddaughter of D.W. James. 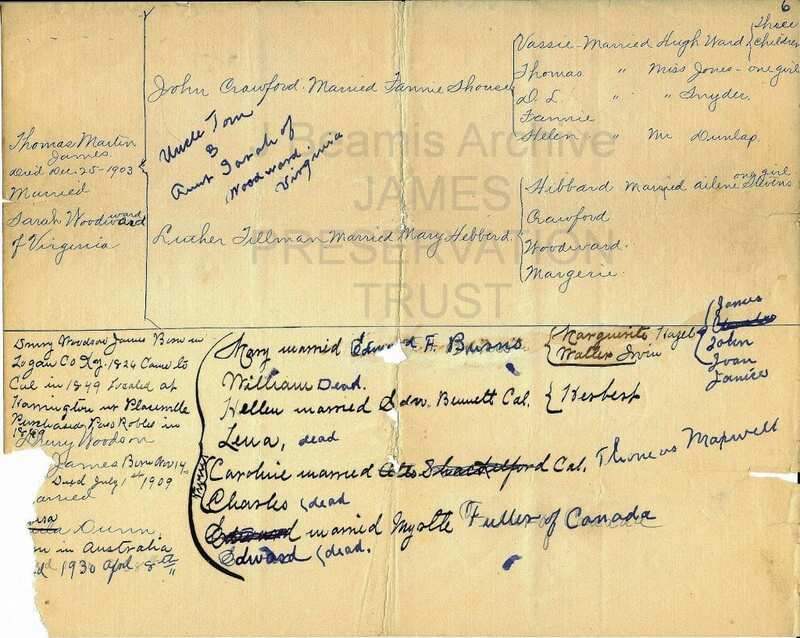 This original document in the Joan Beamis Archive of the James Preservation Trust. 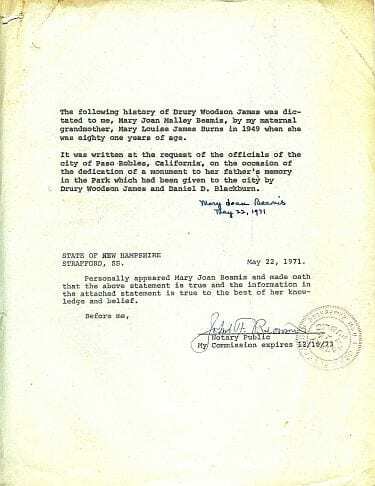 The following history of Drury Woodson James was dictated to me, Mary Jean Malley Beamis, by my maternal grandmother, Mary Louise James Burns in 1949 when she was eighty one years of age. 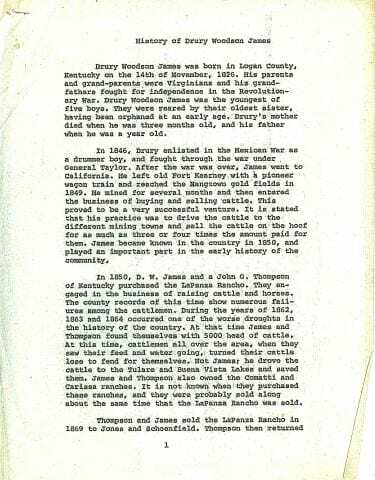 It was written at the request of the officials of the city of Paso Robles, California, on the occasion of the dedication of a monument to her father’s memory in the Park which had been given to the city by Drury Woodson James and Daniel D. Blackburn. 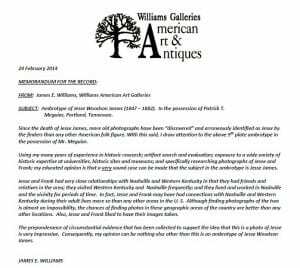 Personally appears Mary Joan Beamis and made oath that the above statement is true and the information to the attached statement is true to the best of her knowledge and belief.